I cannot believe that Easter is over and done with for another year. I already went a bit mad tonight and stripped the house of the decorations, all packed away for 2015 along with a few new ones that I nabbed in the Easter clearance sales over the weekend. This was Miss C's first Easter and the third Easter for Mr B (who turned two in December). However this year is the first year that I think Mr B understood a little bit of what was going on. I guess the Easter Bunny is a little harder to explain to littlies, as you don't see him out and about like you do Santa at every local shopping centre!! 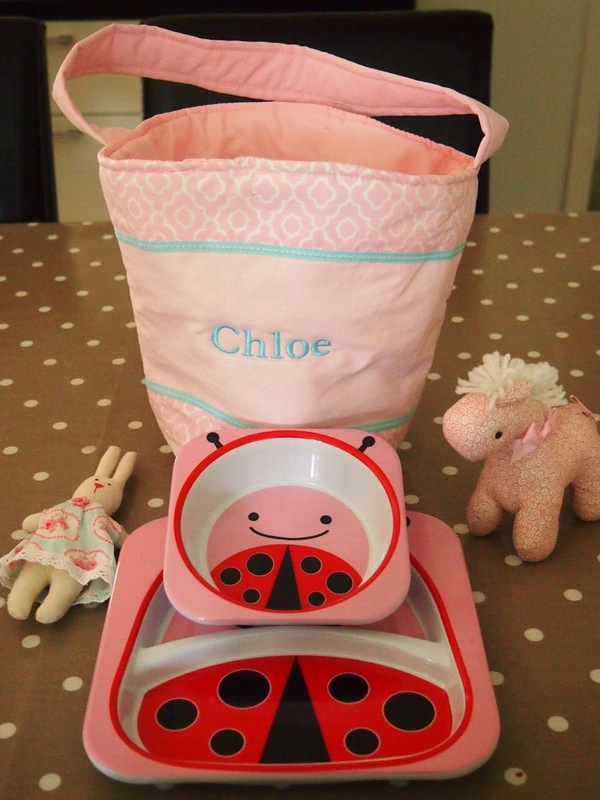 Miss C received a Skip Hop Plate and Bowl Set (The Kidstore had the set on sale for $13.95), a Kate Finn Pony Rattle and a Mini Girl Bunny from Bed, Bath and Table (reduced to $3.50). Mr B received Gumboots from Kidstore (on sale for $10.50, but silly mummy picked up the wrong size! 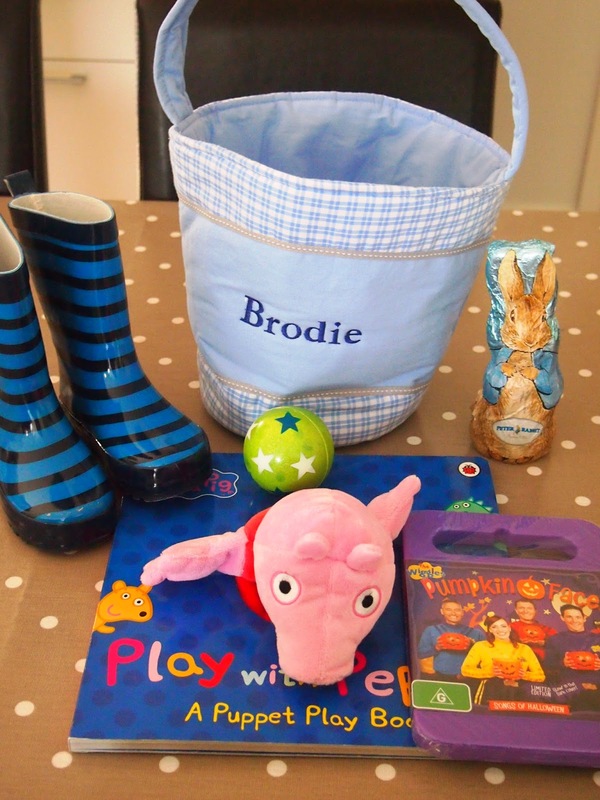 ), a Wiggles DVD (which has already been seen on repeat), a Peppa Pig Puppet Book, a Ball and a small Peter Rabbit Easter Egg. Mummy didn't fare too badly either. The Easter Bunny didn't disappoint me with my annual Lindt Bunny (super impressed with the personalisation!) and Humpty Dumpty Egg fix - both of which are long gone (self control, chocolate and I just don't mix!). I can't stop eating eggs either. I think I am addicted even though the chocolate is horrid.